Throughout John, we see the pattern of attitudes people went through with Jesus that we still see every single day today. In the early chapters of John, we see men and women respond to Jesus with belief - but then some followers turn away. Chaos and fighting breaks out between Jesus and His enemies - but many still seek the truth. The many, many different attitudes to Jesus aren't new - they were around then and they're still around now. Original believers were mocked and ridiculed the same way many Christians experience today. The people were divided because of Jesus then - and they still are today. For a Christian, that can cause a whole lot of heartache. You know Jesus and His love for you - but the world around you doesn't - and it's especially hard when it's your immediate "world"... your family, your friends, your partner. We all face spiritual opposition in our lives at some time and it can really wear you down. You feel hurt, upset, lost, unsure - but that's okay. Jesus gives us constant spiritual refreshment whenever we need it. He is there waiting for us when we need a pick me up - and ready and waiting when we feel like our world is falling apart because He knows just how to fix us. 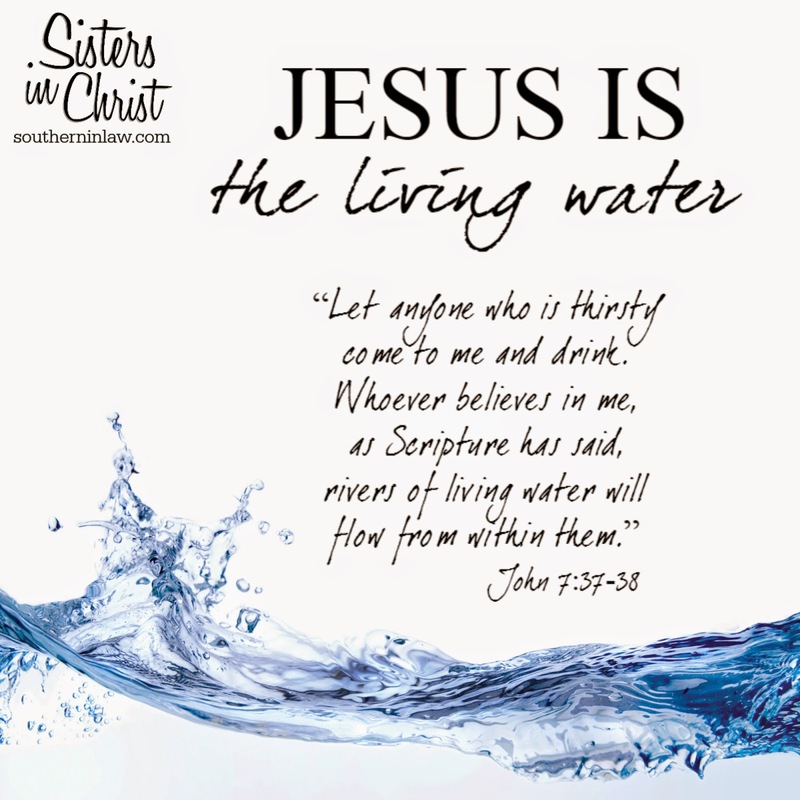 That "living water" Jesus is talking about is the Holy Spirit. It's the Holy Spirit which flows through us and out of us, that blesses us and that allows us to bring His life and light to the world. Jesus doesn't just leave us on our own when we accept Him as our Lord and Saviour - He walks with us, constantly renewing us and refreshing us. 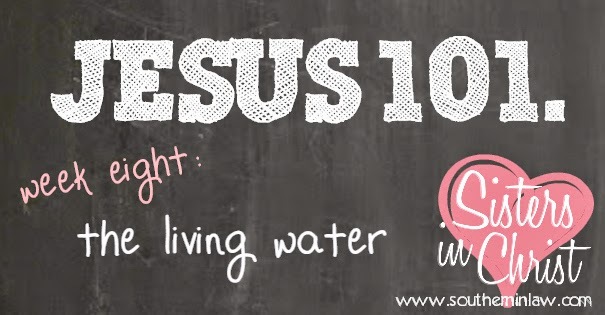 Just as we need physical water to sustain our physical lives, we need that constant refreshment of the living water to sustain our eternal lives. Whenever you feel lost, alone, confused, misunderstood, insulted, accused, mad, unsure - whatever - Jesus is there, waiting to give you a drink and refresh you once again. Just as He told the Samaritan woman - all you have to do is ask!